I've gotten quite a number of Swiffer duster reviews, of the original version, which I've compiled below from readers. Find out how people use this product around their home, and what it works best on. 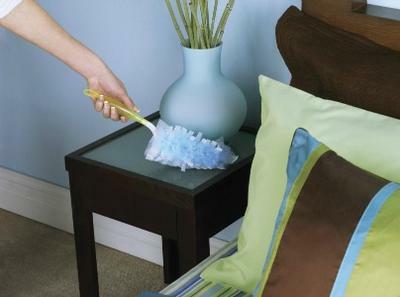 The only item I use for dusting in my home are the Swiffer dusters. They are perfect for getting every speck of dust off of surfaces in my home. I live in Colorado, and within a mile of a quarry, so there is constantly dry, dusty air. 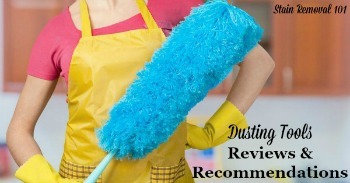 The surfaces of my blinds, ceiling fan blades, television, and window ledges need to be dusted at least once a week in order to keep the house clean and tidy, and the Swiffer dusters are perfect to do the job. The cloths are soft, yet durable, and are able to pick up even the smallest traces of dust, dirt, and grime in the corners and along the edges of surfaces. The cloths are able to get between the slats of the blinds, even with the handle, in order to keep my wood blinds dust-free. The softness of the dusting cloths is perfect for dusting the front of my television. It is an expensive LCD TV with a delicate surface, and I can rest assured the dusting cloths will not scratch the screen. I highly recommend these to anybody. Thanks for your review of this product Leah. As you can see I've got even more reviews of this product below, but I'm always looking for more! You can share your reviews of dusting tools here, or read reviews of other products that have already been reviewed. Join in and write your own page! It's easy to do. How? 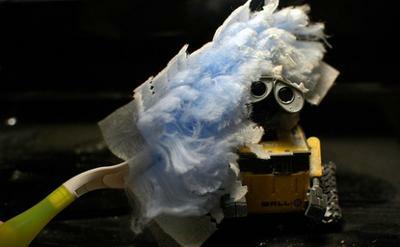 Simply click here to return to dusting tools. I used the Swiffer Duster and I liked it, except for one thing - putting the duster onto the handle is a struggle. I would probably use it more often if it was easier to put the refills onto the handle. It’s kind of like trying to put on a pair of pantyhose when you have on a pair of baseball cleats. When I do use it, it does a good job of picking up the dust from the surfaces in my living room and bedroom, and cobwebs from the walls. I've used it to dust my bookcases, shelving units, media center, TV, stereo, end tables, coffee tables, pictures on the wall, lamps, knick knacks, window sills, furniture legs, candle stands, and even my computer desk. I like that it is long with a rigid support that helps me reach into spots where dust can hide and up to the ceiling where the cobwebs are dangling. I think I appreciate it most when I’m cleaning my vertical blinds on my sliding glass door and the mini-blinds on my windows because dusting these used to be very tedious. With the Swiffer Duster I did the chore much quicker. Thanks for sharing your experiences with this product Edna. Dusting blinds can be quite an ordeal, so I'm glad to see you've found something that makes it easier. I would love to hear how others clean their blinds as well. You can share your blind cleaner reviews here, or read other reviews of products already submitted by others. I love the swiffer duster. They are fairly economical and are always ready for use. Dust collects in the house everyday, and with this little tool nearby I can always do a bit of dusting. I've used them on my computer keyboard and monitor, television, dressers, cabinets, radio, blinds, and tables. When making a purchase of this product there are two options: you can buy the refills, which come in a box of ten or you can buy an entirely new set, which comes with one wand and five refills. Right now I've chosen to always get the new set until I get enough of the wands, since I think it's better to have multiple for convenience. I highly recommend this product to those that visit my apartment. They always ask if it works and I tell them there's nothing better! My only complaint is that I really wish they were laundry safe so they could be reusable. This little dusting tool is great. I like it for many reasons, the main one being that this product changes shape easily so I can continue dusting in all area's of the house without having to change the type of duster I'm using. I also have ceramic statues and genuine oil paintings that I use this product on. I am very happy with it because no parts of the dusting cloth break off and get hung on parts of my art, like can happen if you use paper towels to remove dust. With paper towels little pieces get hung on parts of the statues and the "face" of the oil paintings. 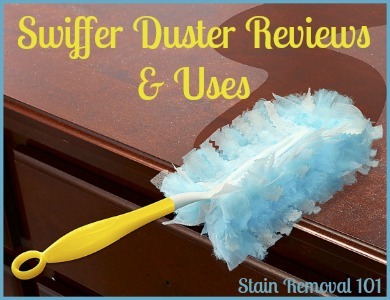 I have found that I can use each duster several times before I need to replace it, which is good since the refills can be pricey, but worth it for how I use them in my home. I use the Swiffer Duster to dust the items in my house when they don't also need to be polished. This is a great product for a quick clean up and it really does a good job. 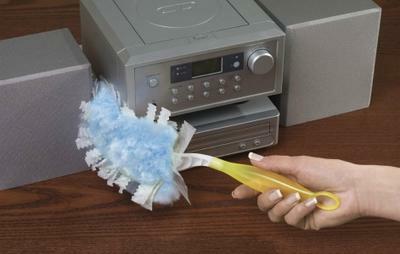 I use it to clean up my tv, desks, chairs, headboards, doors, ceiling fans, end tables, shelving, and my electronics. The dust is captured much better in the soft fluffy strips than it is on a normal dust rag. There are refills available for it at the stores I shop at. I would like to see if maybe there could ever be a wash and use type of refill though. I hate putting things into a landfill that can be reused. That being said, the cloths do last a long amount of time, I would just prefer to keep them longer, even if it meant paying a little higher price when I bought it. Thanks for your review of this product, and how you use it in your home. I would love to hear from even more people, telling what they think of this product and what they can dust with it. You can share your Swiffer reviews here of this or any other Swiffer product, or really any cleaning tools and equipment at all. Further, I noted that the duster refills are available both in unscented and scented varieties. I would love to hear from people who've used some of the scented versions, saying what they like, or don't about them and why. Finally, the reviews above have all been about the original version of this product, and they are still available for sale. The company has also come out with a new line called 360 dusters which have dusting fibers around the whole wand instead of a dusting and flat side like the original. Click the link for a review from a reader of this version of the product. You can check out more dusting tools reviews here, or share your own review for products used to clean up and dust your home. 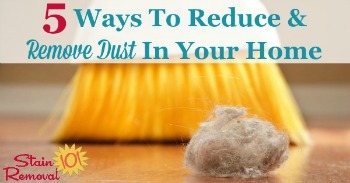 In addition, you can get more tips for reducing and removing dust in your home here. I have a cleaning business. Love the swifter dusters! 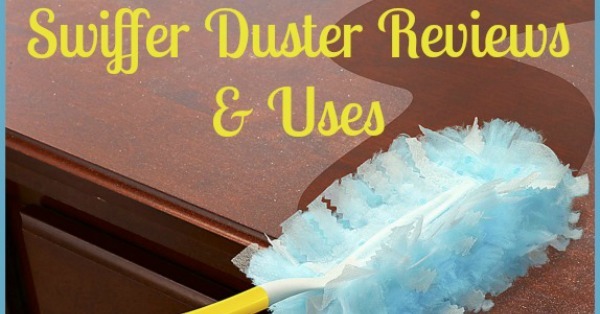 I use duster on all furniture in each room, then use polish on furniture after. Makes my cleaning business so much easier! Dust just seems to cling to the very ends of the duster tabs. Once the ends are dirty, I feel as if I am just putting it back on the furniture, so I use a new one. I really like them but use so many.